Hi there! I’m Michelle from So Wonderful, So Marvelous. I’m so excited to be here at Be Different, Act Normal. Lorie is one of my daily reads and constantly amazes me with the awesomeness that she comes across all over the web. I’d love to share with you some of my favorite projects from my blog, including a few that Lorie has shared with you in the past. First up is my son Finnegan’s Dr. Seuss Second Birthday. 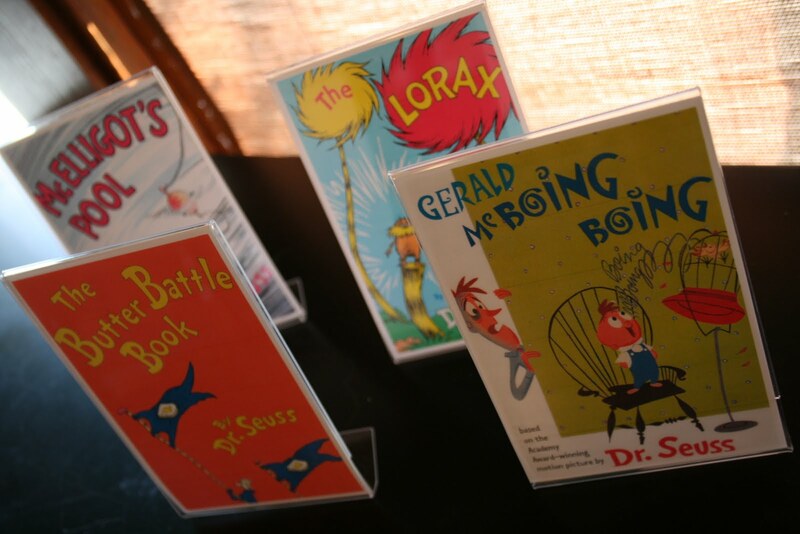 We served dishes like Poodles with Noodles and Yertle’s Caramel Turtles, the invitations were made to look like Seuss books, and gave each guest Red Fish, Blue Fish soaps. We love parties and there are plenty more to check out like my husband’s surprise 30th beer tasting and a springtime Parisian brunch. One of the things on my life list is to learn to sew, but until that happens, I use cheat methods to make things like this cute letter pillow. It couldn’t be easier to make! Maybe decorating and parties aren’t your thing? Try some yummy recipes. One of the favorites on my blog are these Sea Salt Chocolate Covered Oreos! You can whip up a batch in minutes and just try to keep them in the house. And one of Lorie’s favorites, here I talk about the time my mom signed me up to make a bird house for charity inspired by the movie Up! So there you have it, a little peek into my blog. I hope you’ll stop by and say hello! The oreos are really awesome. I did some with the vanilla oreos too - they were a HIT with dark chocolate. And I made a few mint oreo cookies too.